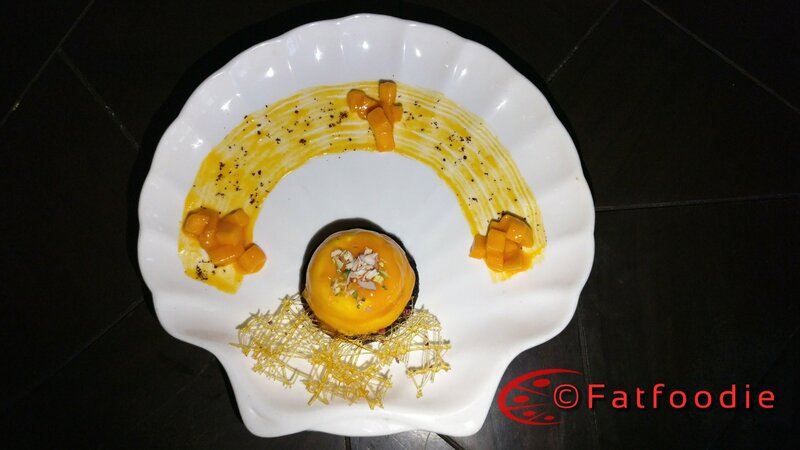 The Farzi Cafe – Mango Mania – Review. It is the time for a Mango to get Farzified. 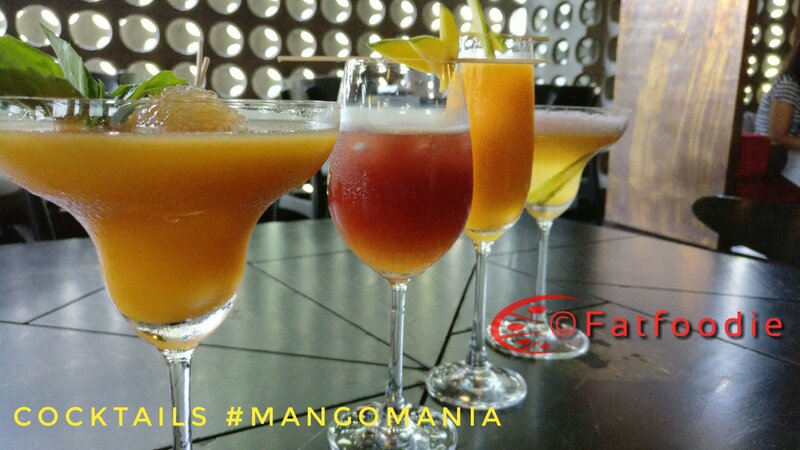 The ongoing #MangoMania Festival at The Farzi Cafe was totally Mango centric right from the Cocktails to Appetisers till Desserts it was all the way Mango. Farzi Cafe hosted the first ever Bloggers table for the #MangoMania Festival and I was glad to be the part of it. Special thanks to Jerlyn The FoodFantic for putting up my name for this tasting. Lets start with the a round of Cocktails which was specially curated menu for this festival. List of Cocktails: Mangosutra, Mangomania, Mangolicous, Mangorita. I tried the MangoSutra: Mixologist had played with some vodka shaken with redwine and passionfruit puree and mixed with mango fizz… and the Magic was poured in a wine glass with a raw mango slices were place on the top. Beautifully made with the right amount of alcohol along with right amount of fruit punch to it. 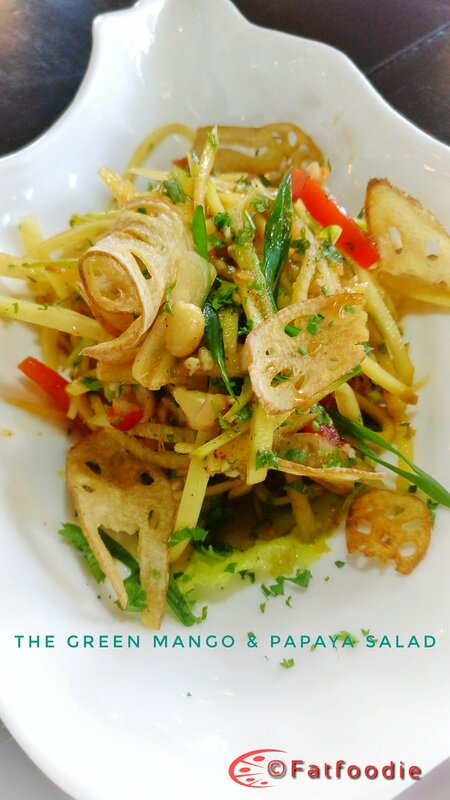 Green Mango and Papaya salad with Peanut Chutney and Imli Chutney and crispy Lotus Stem: This combination of salad has become very common now a days where there is a Mango festival going on. But at Farzi had it own twist to it by adding Imli ki chutney. nice fresh and well tossed. Raw Mango and Mushroom Kulcha: This was absolutely brilliant. 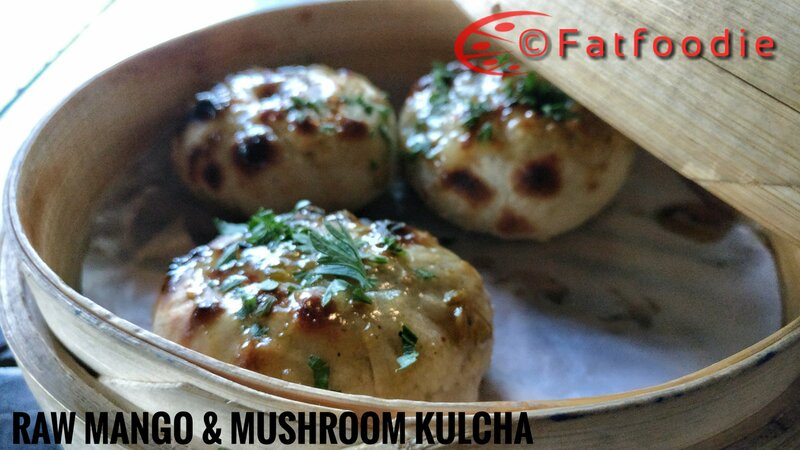 Three lovely kulcha placed in Dimsum steam bowl with the raw mango and mushroom stuffed kulcha with its tandoori crust and crumbly filling. I personally liked. 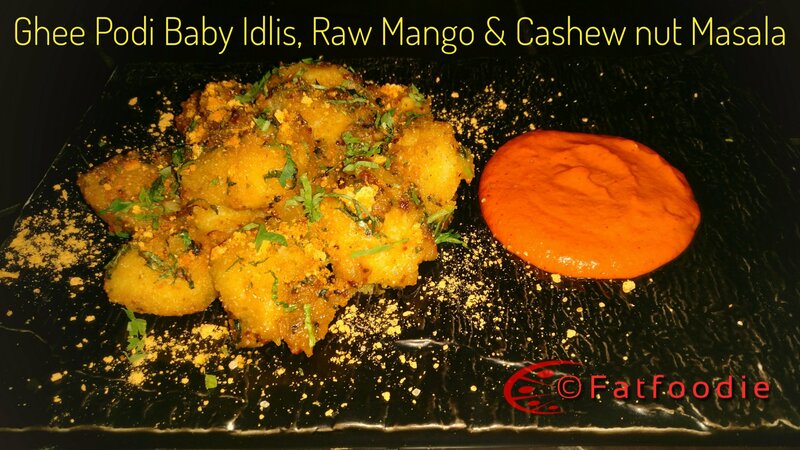 Ghee Podi baby Idlis Raw Mango and Cashew nut Masala: Ghee Idlis were basic but the Cashew nut powder with South Indian Spices mixed along with it gave this dish a good palate changer effect to the taste buds. 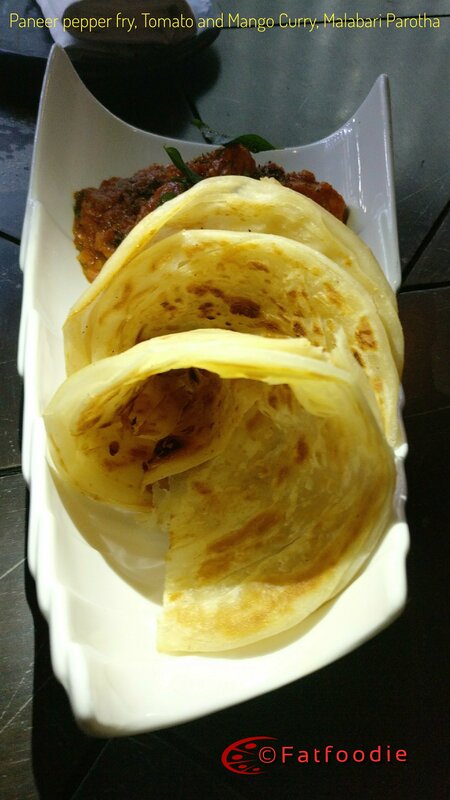 it was served with the basic red colour South Indian Chutney. 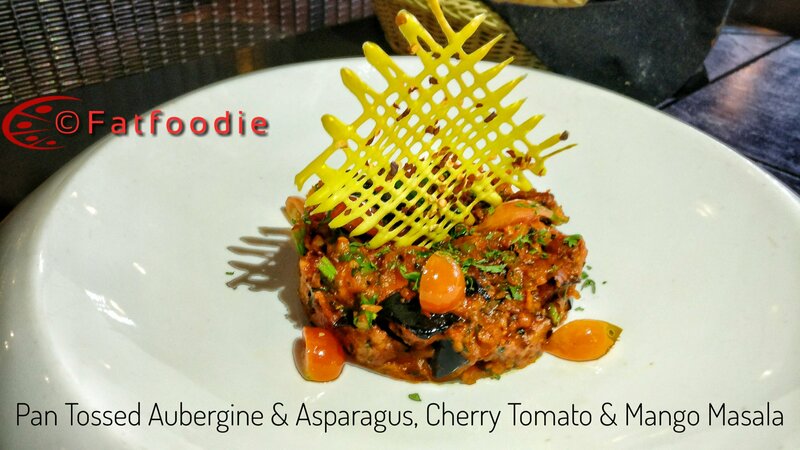 Pan Tossed Aubergine And Asparagus, Cherry Tomato and Mango Masala: This was just the winner of all the dish served so far. Perfect combination of aroma, exact amount of spices with right amount of gravy to hog on. Although it had cherry tomatoes and mango but it didn’t out to be sour or too tangy overall. It had balanced taste due to the good amount of spices added to it. It goes well with Roti/Naan. 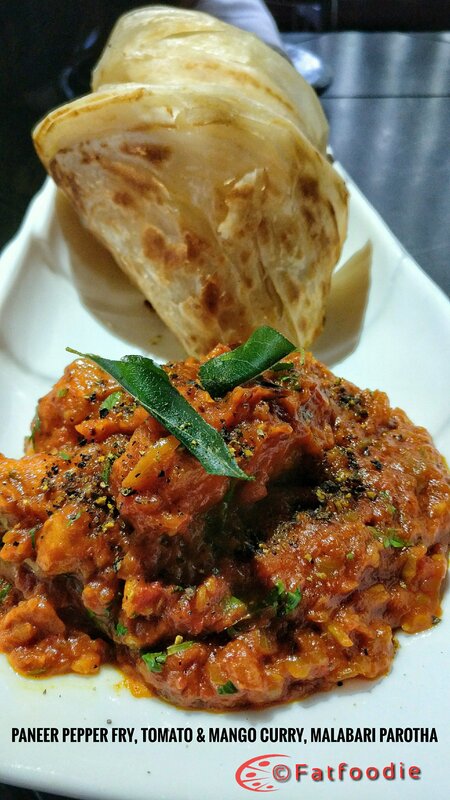 Paneer pepper fry, Tomato and Mango Curry, served with Malabari Parotha: Who doesn’t like paneer ? everyone likes it…. This dish takes the paneer to the next level. Flaky Malabari Parotha makes the subzi crunchy, nice and addictive. Impeccable amount of sourness and spiciness makes you fall in love with very first bite. 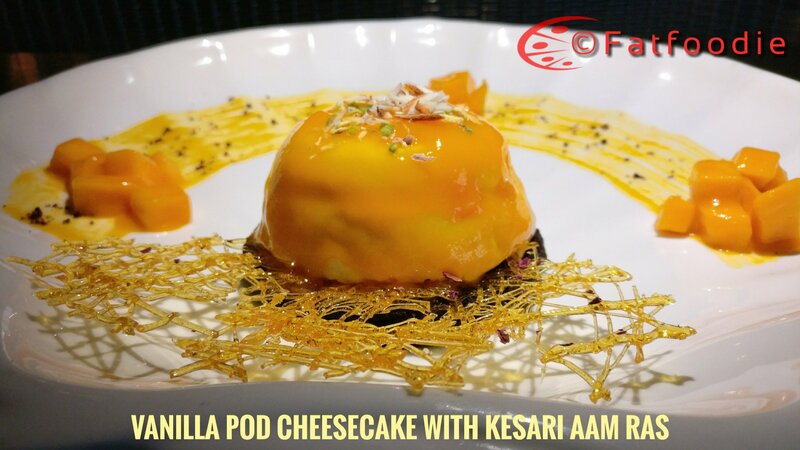 Vanilla Pod Cheesecake with Kesari Aam Ras: Beautifully plated and along with Brownie to the base of a Kesari Aam Ras CheeseCake. Although the brownie was killing the overall taste of the aam ras. but if you have separately then you can enjoy both side of the world. 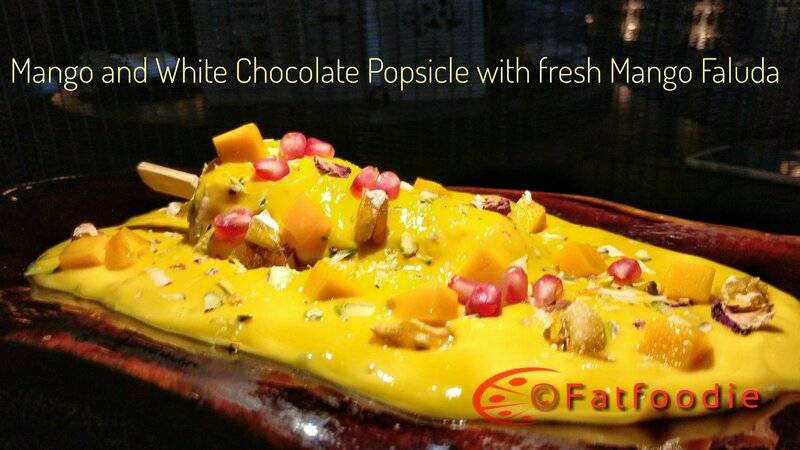 Mango and White Chocolate Popsicle with fresh Mango Faluda: Again very ingeniously prepared and served on bed of rock shape cutlery. This dish could be more pleasing to me if it had more of sevai added to it, bringing it close to the regular Faluda. 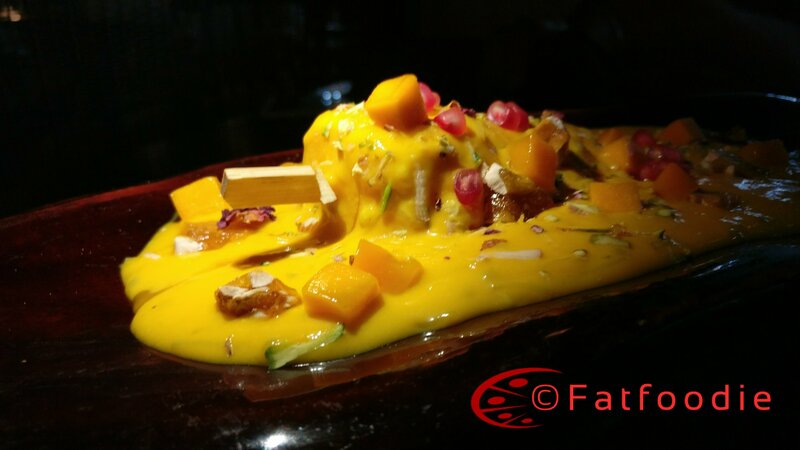 White Chocolate and Mango Faluda did their job of creating a Magic to this dish and which Farzi is also know for it. Food: Food and Magic goes hand in had at Farzi. Service: Prompt with courteous staff to serve. Ambience: Feels young and energetic. Comfortable sitting. 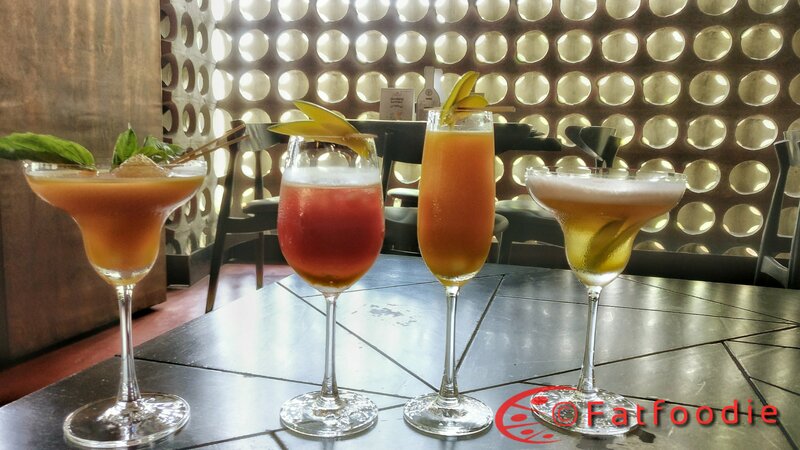 Posted on June 3, 2017 June 3, 2017 Categories Exclusive Invite, Food, Food Festivals, Restaurant Review, Summer Menu, Sweets and DessertsTags Exclusiveinvite, Food Blogger, Food Festival, foodieblog, Foodtasting, Mango Festival, Mango Mania, Pune Blogger, The Farzi Cafe PuneLeave a comment on The Farzi Cafe – Mango Mania – Review.